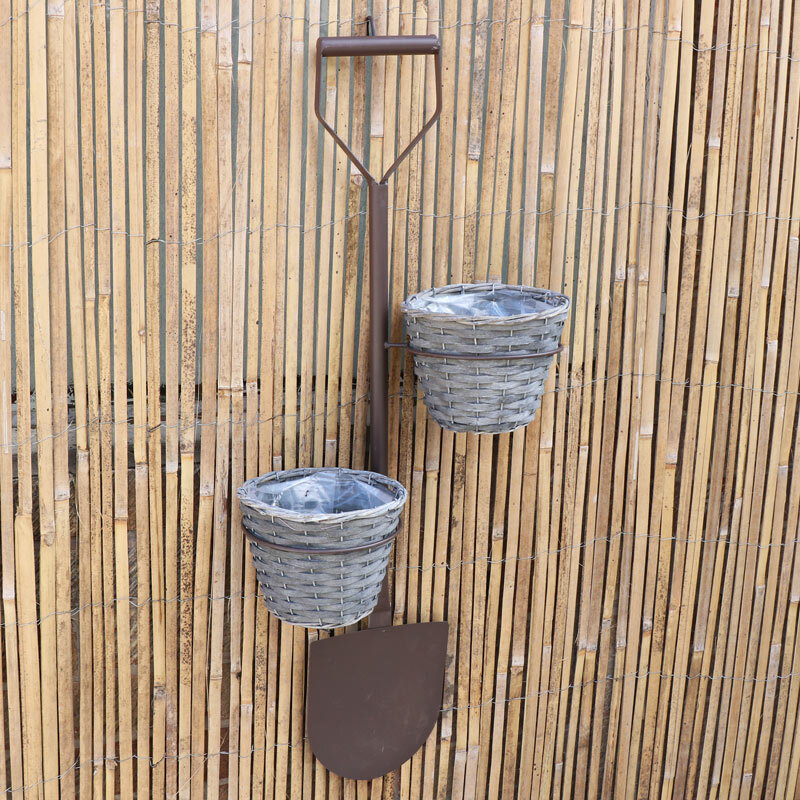 Rustic style decorative garden spade planter with grey wicker plant pots. Display plants and flowers for beautiful summer garden arrangements. Also available in garden fork design. 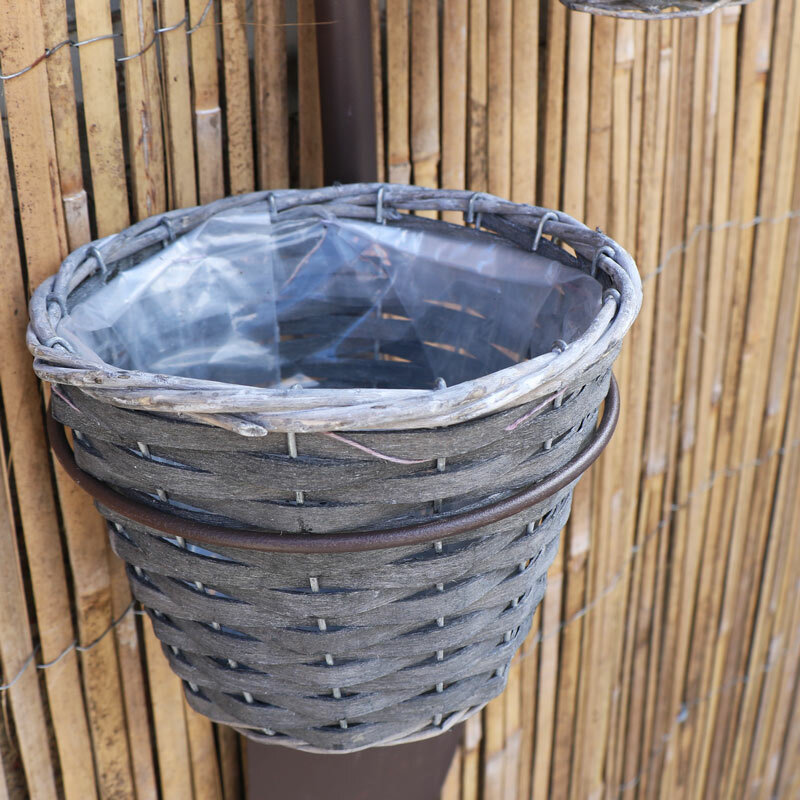 In the shape of a garden spade, the planter comes with 2 grey wicker baskets to add a charming rustic look. A great way to decorate your garden for spring and summer. 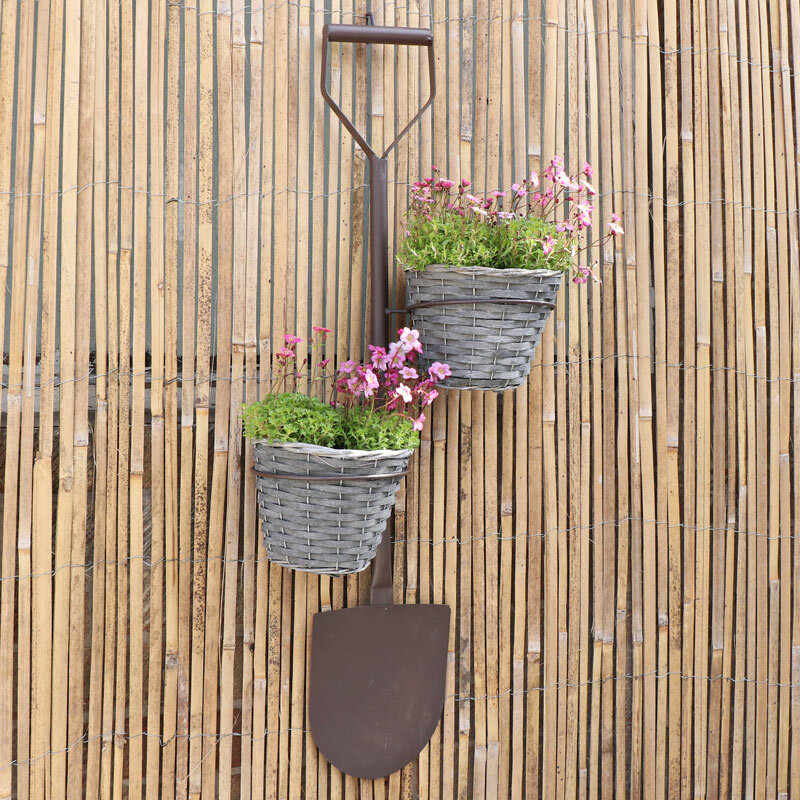 A great gift idea for the keen gardener. 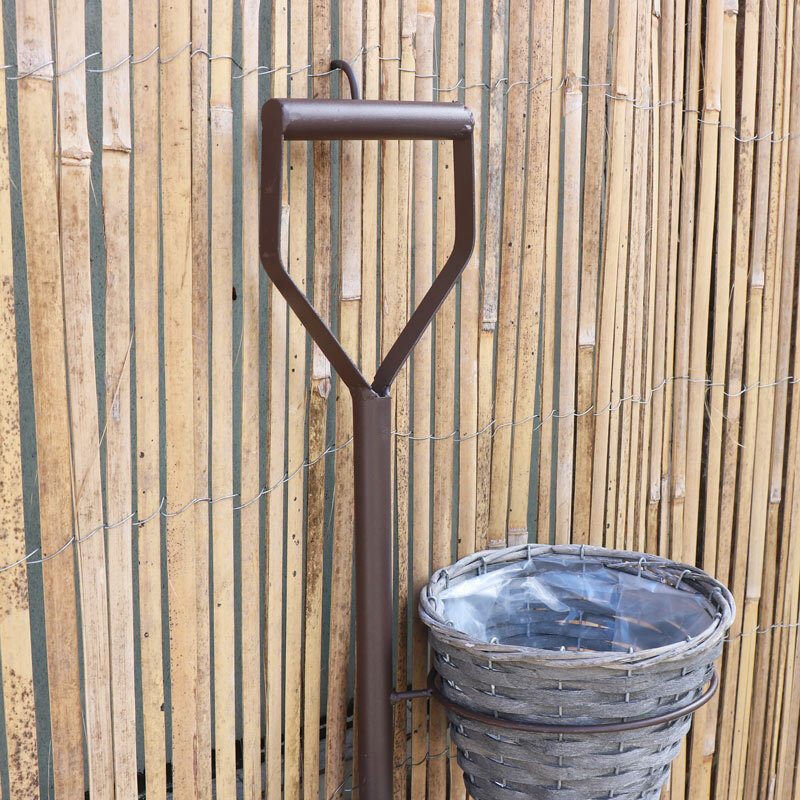 Contructed with metal fork in a rustic brown finish to give an aged look and a rustic grey wicker basket plant pot. A fantastic addition to our wide selection of home and garden accessories.